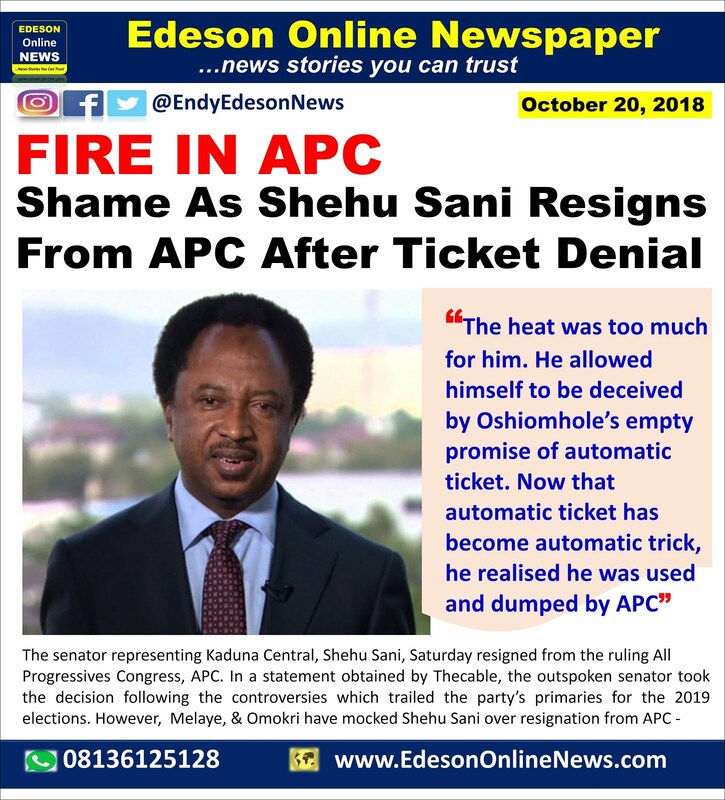 The senator representing Kaduna Central, Shehu Sani, Saturday resigned from the ruling All Progressives Congress, APC. In a statement obtained by Thecable, the outspoken senator took the decision following the controversies which trailed the party’s primaries for the 2019 elections. @BukolaSaraki, you allowed yourself be deceived by Oshiomhole’s empty promise of ‘automatic ticket’. Now that automatic ticket has become automatic trick, you now realise you were used and dumped. DINO TWITTED: Sen Shehu Sani has just dumped D APC. People who did not like you in the morning & afternoon but claim to like you at night,i beg borrow urself some brain. Baba God i thank you say i no become suya in the hands of cash & carry party. (APC) Aboki accept my condolence.. oh my home. Will it be too late if he joins PDP? I am surprised that a cerebral gentleman like Sani would be conned by a not too intelligent but crooked villain like Oshiomole.